There are few things that better illustrate the hypocrisy of the republican mentality than the case of Mussolini and the Kingdom of Italy. With Benito Mussolini we have a man who came to power during a time of crisis, mostly because none of the more mainstream political factions could come together or put forward an alternative, a man who became wildly popular in Italy only to become extremely unpopular after the fortunes of war turned against Italy. He was then disowned by his party leadership and removed from office by the King. However, the monarchy was then blamed for Mussolini ever coming to power and maintaining himself in power and was then abolished and the Royal Family exiled from their homeland as a consequence. Yet, while Mussolini was subjected to ‘mob justice’, his own family was not given similar treatment. So, the public that embraced him was not held to blame, but instead the monarchy was and the monarchy was “blamed” for Mussolini to such a degree that they were, for decades, barred from even entering their country while members of the Mussolini family not only remained on Italian soil but even continued to seek elected office and work in politics. That is something which should always be kept in mind because, while the monarchy was blamed for the Fascist period, the post-war Italian republic is set up in such a way that while it is illegal for Italy to restore the monarchy (under the current constitutional framework) there is nothing to stop another totalitarian political party from coming to power at all. So, what was the relationship like between Mussolini and the monarchy really? The short answer is that it was a complicated one and subject to change. Consistency was never a strong point for Mussolini save for his consistent desire to gain and maintain total power for himself and for Italy to restore itself to the status of a great power under his leadership. 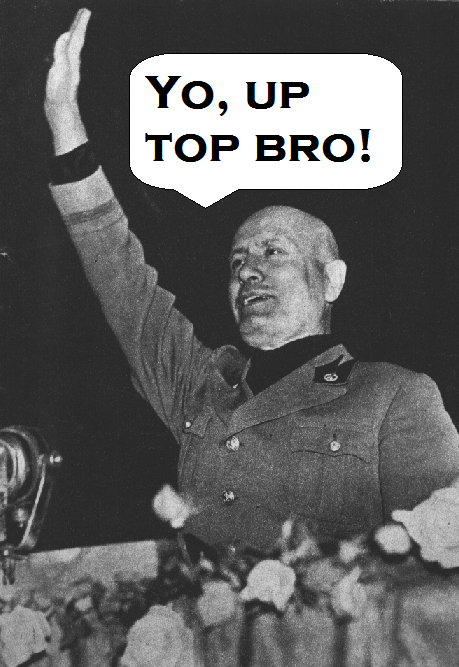 As most probably know, Mussolini started out as far from being a monarchist as one could possibly be. Raised by a socialist father and named after a Mexican revolutionary, he spent most of his life as an anti-monarchy, anti-clerical, left-wing radical. In fact, his condemnations of the monarchy, the aristocracy and the Catholic Church were so extreme that even his fellow Marx-quoting socialists thought he took things a bit too far. As a socialist, he tried to dominate the other socialists and bend them to his will and this caused him to begin to lose favor in the ranks of his fellow Marxists. They recognized that he was an immensely gifted speaker and propaganda writer but he was not what we would call a “team player”. The last straw came with the outbreak of World War I. Mussolini, formerly an anti-war, anti-military activist who fled the country rather than serve his mandatory term in the army, became outspokenly pro-war and volunteered to fight at the front. To his credit, he backed up his rhetoric with action and joined in the fight. In fact, he met the King, Victor Emmanuel III, for the first time when he was recovering in a hospital the King toured to visit the wounded. The King, of course, had no idea that the man who later became “Duce” of Fascism was a man he had met earlier in a field hospital. Mussolini effectively parted company with his fellow socialists, in the first place, over nationalism. He was a nationalist rather than an internationalist and Mussolini was convinced that by taking part in the Great War, Italy would become a more powerful and prestigious country. Belatedly he came to realize the stunningly obvious: the socialists did not care about Italy and even to the point of their theoretic concern for the working class, they cared no more for the Italian workers than they did Russian, Polish, German or French workers. Mussolini could not tolerate this and broke ranks with them, joining with other war veterans and outcast radicals to form what later became the National Fascist Party. In the early days, their attitude toward the monarchy tended to range from hostile at worst to ambiguous at best. They were still very much on the political left in their early days and, even if they were nationalists, were still very far removed from the official nationalist party that was staunchly pro-monarchy in their platform. 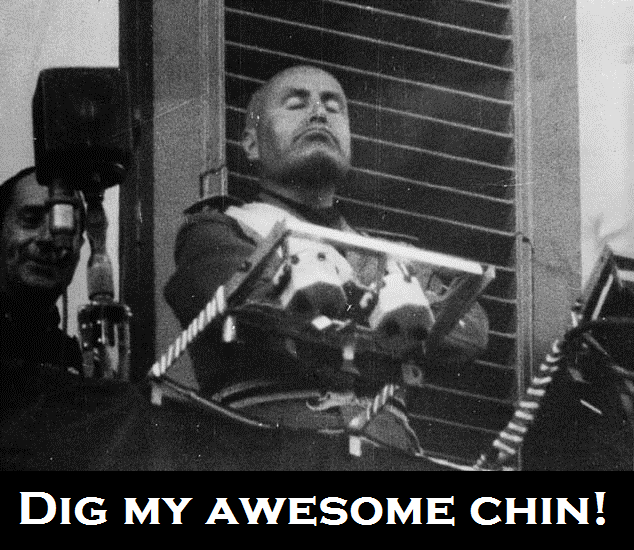 However, Mussolini gained little support from fellow republicans for his new movement. If one was going to be a republican revolutionary, after all, why not just stick with the socialists and go all the way rather than take up with these black shirt-wearing nationalists who preached much the same thing on a smaller scale? More than that, though, Mussolini began to gain more support that was not of the left because he so hated the socialists who rejected him and because the socialists seemed to hate his movement almost more than any other. 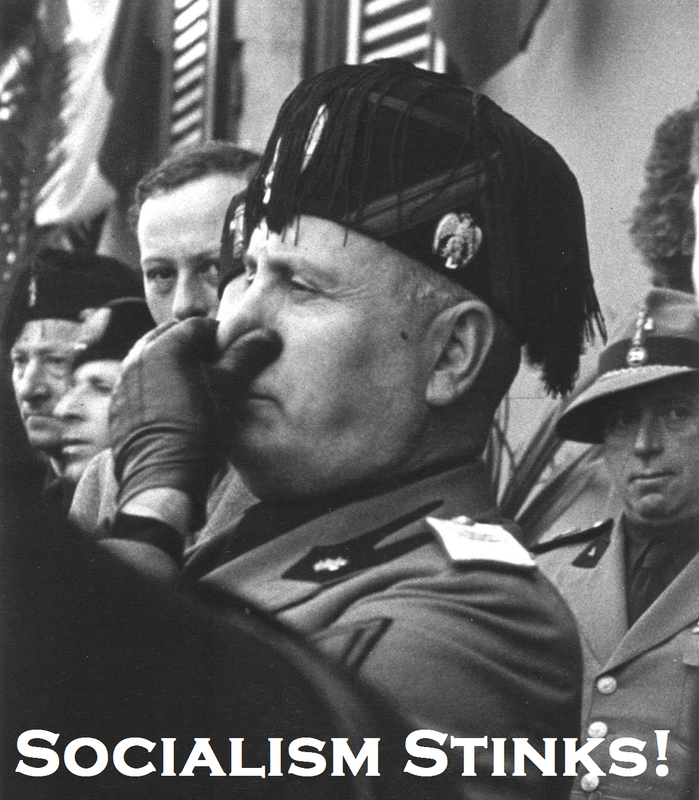 Socialists could look at the liberals and monarchists and see them as their ideological enemies but they saw Mussolini as something more hateful: a traitor, a sort of socialist heretic. The problem for Mussolini was that it became harder for him to hold to his original, republican worldview when an increasing number of his most prominent supporters were monarchists who looked to Fascism as the way to save Italy from socialist revolution and who would turn on him in an instant if he ever tried to act on his republican rhetoric. These would include such Black shirt leaders as General Emilio De Bono and Cesare De Vecchi. Soon there would be more. 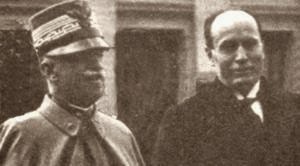 However, even as late as 1920 Mussolini was still talking about a republican revolution and tried to get the well-known nationalist Gabriele D’Annunzio onboard with such a scheme. Even not long before the famous March on Rome, the public position of Mussolini concerning the monarchy was ambiguous. 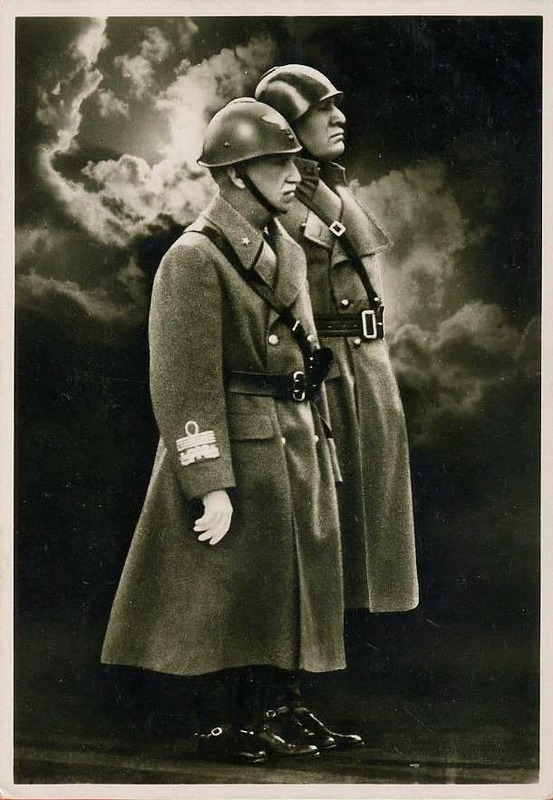 In August of 1922 a group of army officers, sympathetic to the Fascist fight against Marxism, wrote an open letter demanding that Mussolini clarify his position on the monarchy because their oath of loyalty to the King was absolute and “The officers of the Italian army, before they would commit treason, would commit suicide”. Mussolini responded in a way that was not entirely reassuring, saying that the monarchy was in no jeopardy from the Fascists, provided that it did not put itself in such jeopardy. In other words, implying that if the monarchy did not stand in his way he would allow it to survive but if not, he would tear it down. Obviously, this was not the answer that loyal monarchists worried for the future of their country and the looming threat of a communist revolution wanted to hear. So, finally, at a speech in Udine on September 20 the Duce publicly cut ties with his republican past and urged any remaining republicans in the ranks of the Black Shirts to do the same, telling them that, “you must have the courage to be monarchist” and saying that, “The monarchy, therefore, would represent the historical continuity of the nation. A beautiful role, a role of incalculable historical importance” in any future Fascist regime. 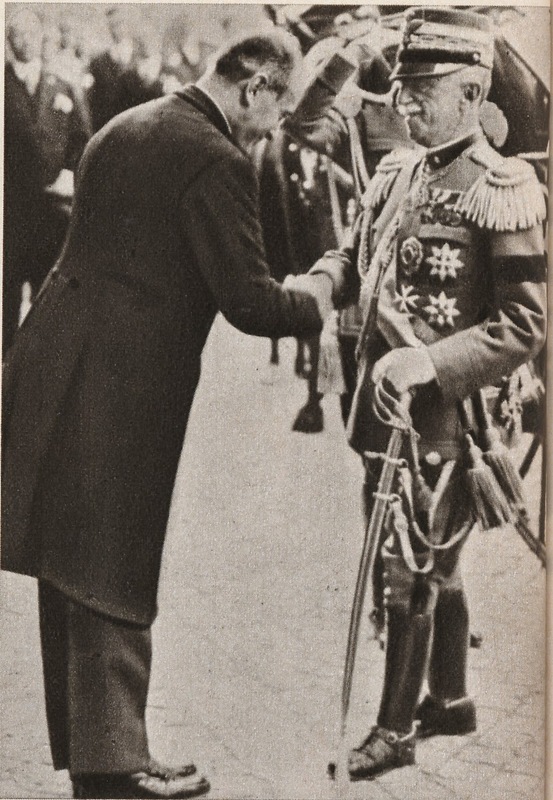 Some Fascists, like the talented Italo Balbo, remained republican at heart but Mussolini’s pledge to support the monarchy brought in other supporters such as Luigi Federzoni when the Italian Nationalist Association merged with the Fascists. 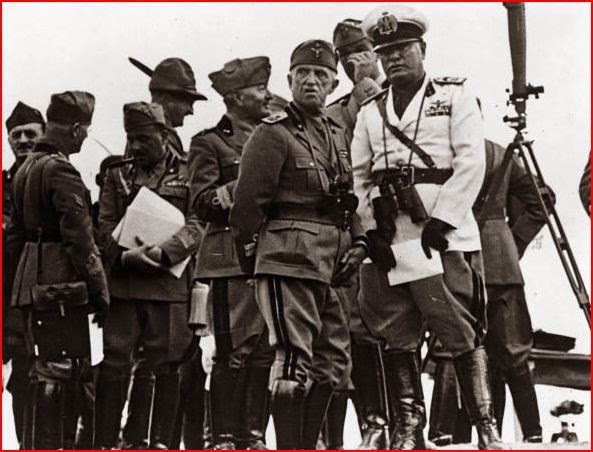 The March on Rome was held (which in the event was more of a victory parade than the seizure of power Mussolini later liked to imply) and Mussolini came to power, from the start following all of the proper protocol in his dealings with the King. His private opinions, however, may not have ever changed and his public monarchism may have been no more genuine than his Catholic baptism which he underwent after coming to national prominence and a lifetime of being an avowed atheist. He could be quite insulting about the King in private, fuss and complain about royal ceremonies or duties he was obliged to participate in, yet for some members of the Royal Family he seemed to have some genuine admiration and at times he could spare a kind word for the monarch, once saying, even before the March on Rome, that he and the King were the only two serious figures in the entirety of Italian politics. However, more often than not, his words were not kind and he did not hesitate to stoop to ridiculing the King for his size, saying that such a man was too “small” for the great Italy he intended to build. Yet, what makes that all the more ironic, is that no one was more respectful and even seemingly nervous in the presence of the King than Mussolini. For all of his machismo and bombast, whenever he was confronted by the person of his monarch, it was as if his republicanism totally abandoned him -at least until the audience was over. The King, for his part, almost never spoke slightingly of Mussolini but, while never perhaps trusting him completely (and for good reason) was impressed by the results he delivered and by his vision to make the Kingdom of Italy a great power; to restore, as the famous phrase went, “the glory that was Rome”. 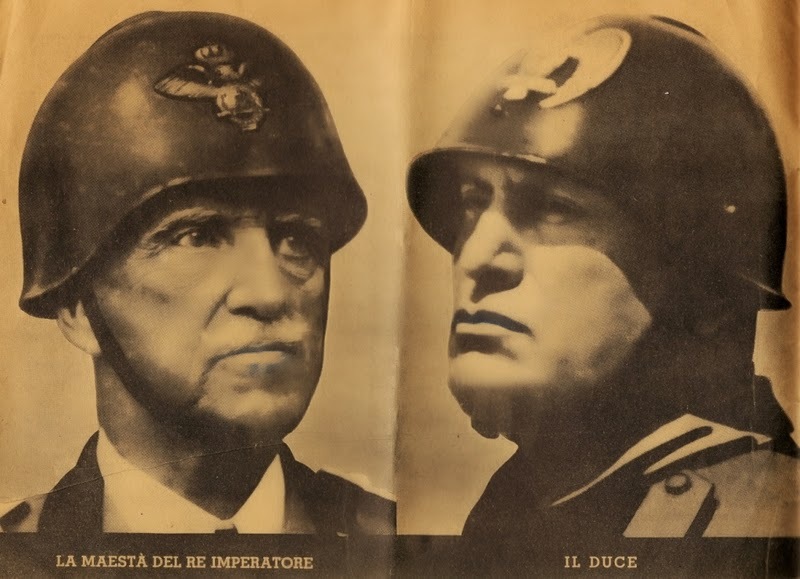 After Fascism became firmly entrenched, a duality emerged represented by the twin portraits of the King and the Duce that were displayed in every Italian classroom. Mussolini did firmly believe in strength through unity and perhaps convinced himself that Italy would be stronger and more united with the monarchy than without it; though often enough he gave the impression that he would prefer to be without it. For example, when Hitler made his official state visit to Rome, the German dictator made little attempt to conceal his own disdain for the monarchy and having to deal with the King (the Head of State) rather than his hero Mussolini (the Head of Government) Mussolini himself commented that Hitler was fortunate in not having a monarchy to slow him down and that, in due time, he hoped Hitler would eradicate monarchy from Europe. 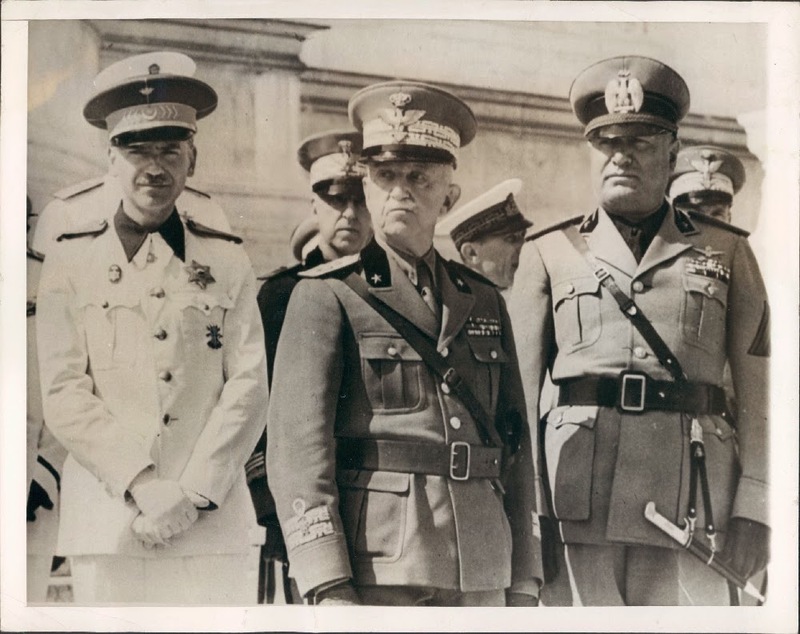 However, officially, Mussolini was supportive of the Italian monarchy and it was possible for a loyal monarchist to be a Fascist as well, especially considering that most never heard the occasional anti-monarchist remarks their Duce made. It could be difficult, given his stance in public, to tell when exactly Mussolini was being genuine. He met regularly with the King, as required, and when Italian forces conquered Ethiopia and occupied Albania the King of Italy was given the further titles of Emperor of Ethiopia and King of Albania. The “diarchy” prevailed while times were good and as the Fascists became part of the establishment they also came to be more monarchist, whether Mussolini liked it or not -and many of his more rowdy and left-wing Black Shirt squad leaders from the early days certainly did not. He detested Crown Prince Umberto and Crown Princess Marie-Jose and did his best to keep them confined to the sidelines but seemed content to continue with the system as it was. What many have wondered, however, is whether or not this would have continued indefinitely. We cannot know, of course, what might have happened had the future unfolded differently. Some maintain that, had Italian and Axis forces been totally successful in World War II, Mussolini would have ridden a wave of popular support in abolishing the monarchy altogether and assuming total and unfettered control of his new Roman Empire. Certain of his remarks could encourage one to make such an assessment. However, others point to how entwined the dynasty was and consider that to be an impossible outcome. What about those monarchists who remained on the Fascist Grand Council? 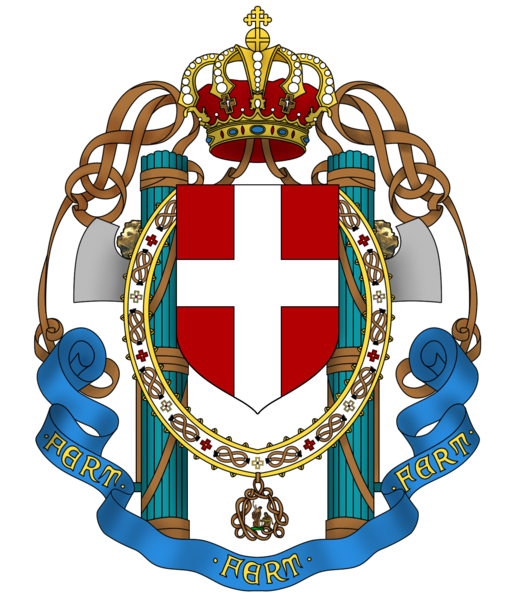 What about the relationship of the colonies to the Crown or the Savoy prince who was placed on the throne of Croatia? No one can say for sure as there is evidence to support both theories. What did happen was that Mussolini did break with the monarchy but not of his own choosing. 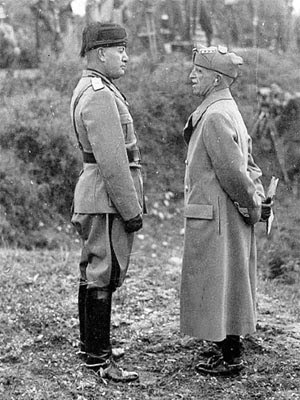 As the war had turned completely against Italy and Allied forces were on Sicilian soil the Fascist Grand Council essentially passed a vote of “no confidence” in the Duce, who did not take it terribly seriously and counted on the King to back him up. Instead, the King dismissed him from office and had him placed under arrest, or, “protective custody” if one prefers. When Mussolini was liberated by his Nazi ally and reinstalled in the puppet state at Salo, it seemed that he reverted back to the old, left-wing revolutionary he had been in his youth, claiming all the while that everything from 1922-1943 had been a fraud, a compromise and that his “Italian Social Republic” represented “true” Fascism free of the contaminating influences of the monarchy and the Church. This new regime was staunchly republican and much more left-wing in contrast to the professed corporatism of the Kingdom of Italy under his rule. The King was condemned as a participant in a “treasonous” conspiracy, all businesses with more than 100 employees were nationalized and friendly overtures were even made to the socialists and communists in a (futile) effort to gain popular support for what was really a Nazi puppet-republic. Mussolini referred to his monarch as ‘Victor Savoy’ or, more grandly, the greatest traitor in history. It is, perhaps, a mark of his own gentlemanly nature and upbringing that, even after it was all over and he was in exile in Egypt, the King never spoke hatefully of Mussolini who had cost him and his dynasty their Crown and country. He tried, as always, to be reasonable and understanding, pointing out his gifts as well as his weaknesses. In the end, one question remains. Which was the real Mussolini? Was it the republican revolutionary of his youth and final days or the dutiful Duce of 1922-1943 who had encouraged his Black Shirts to have the “courage to be monarchist”? His remarks in private suggest it was the former, yet, if things had gone differently we might assume otherwise. After all, Mussolini was not, on the whole, a consistent man in most things and even himself admitted that there was more than one Mussolini. After being restored to power by Hitler, he said in an address that, “There is a Mussolini who embodies the Mussolini of yesterday, even as the one of yesterday embodied the one of today…” This was the man who had been a zealous and lifelong socialist only to later say that his program was to “smash the heads of the socialists” but then, at a later stage, asserted that he had never entirely abandoned socialism. This was a man who had accepted Jews into the Fascist ranks and been touched by their loyalty and Italian patriotism only to later enact the anti-Semitic laws favored by his Nazi ally. This was a man who gone to jail for opposing the war in Libya only to support Italian entry in World War I and then to lead Italy into World War II. Even the King had admitted that Mussolini had his talents, had done some good things and was more complex than the cartoonish villain of Allied newsreels but when it comes to the monarchy, the preponderance of evidence suggests that if Mussolini was ever loyal to the monarchy at all, that loyalty was conditional and only temporary. Which makes it all the more unfortunate that the Royal Family ended up being scapegoated to cover up for the mainstream liberal parties and, indeed, all those of the general public who had presented Mussolini with the path to power and who so cheered him in times of victory and prosperity. As always, an excellent article, Sir! Thank you! "Which was the real Mussolini?" A bit difficult to know with an onion man ... but it would be pious to hope the real one was the one who was friends with Dollfuss and at least in 1936 defended Schuschnigg against Anschluss. The man who told Chesterton in 1935 that racialism was an idiocy fit for Protestant hysterics rather than the one who 3 years later (within less than 12 months margin) signed Charta della Razza. The man who had said "if I betray you, shoot me", if he considered ultimately that the Saló Republic was the kind of betrayal he could be hanged for. I've been very interested in your blog, and have read your posts about the Italian monarchy, and in particular those about Mussolini and his relations with King Victor Emmanuel III, with great pleasure. At the moment I am writing a short paper on this subject, and therefore I am looking for information and publications. I was wondering where you got your information from and wether you'd be kind enough to help me further so I could reference to those in my paper.